According to shots from an official Verizon company blog (Yes, even Big Red blogs!) 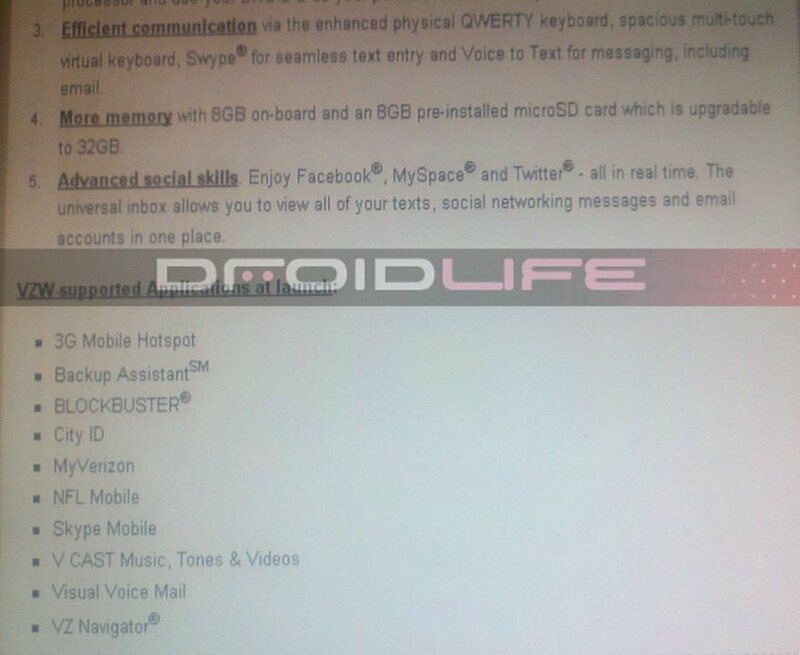 we have some confirmation on a few additional details for the Droid 2, plus a new rumored release date. These shots reassure us that Android 2.2 will come pre-loaded with full Flash support, the physical keyboard has been “enhanced,” and a bundle of bloatware to boot. Oh you don’t care? You just want the release date info? 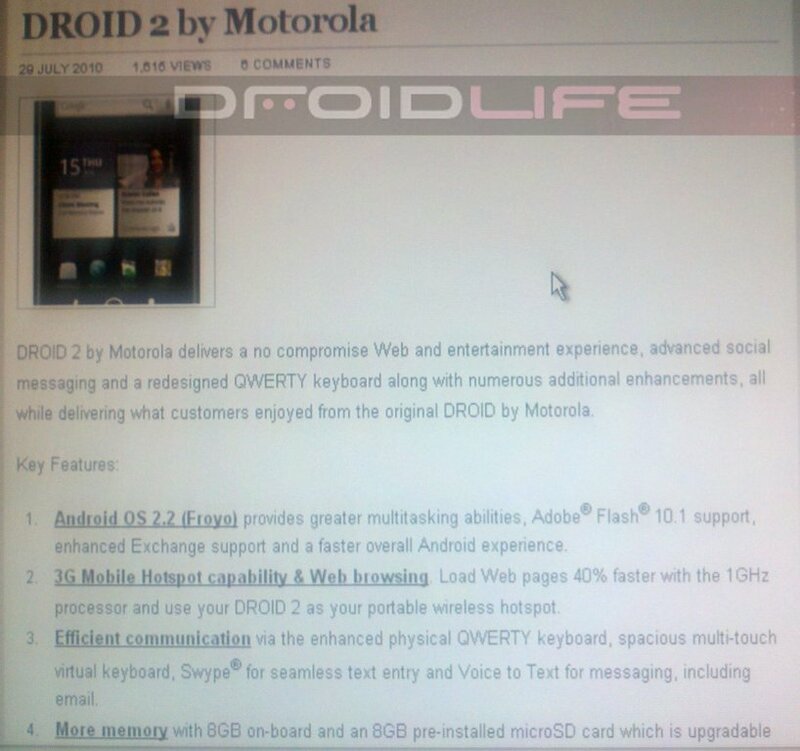 From 2 separate sources, we’ve heard as of today, the tentative release date for the Droid 2 remains August 12th. Does this make sense? It seems to. The 12th is a Thursday and we all know that Verizon loves Thursdays plus the following week is a pretty major Adobe/Android summit which would be an ideal time to officially announce Flash. That’s 2 weeks from today!